Who will the actors spotlight during their time in the awards season's sun? 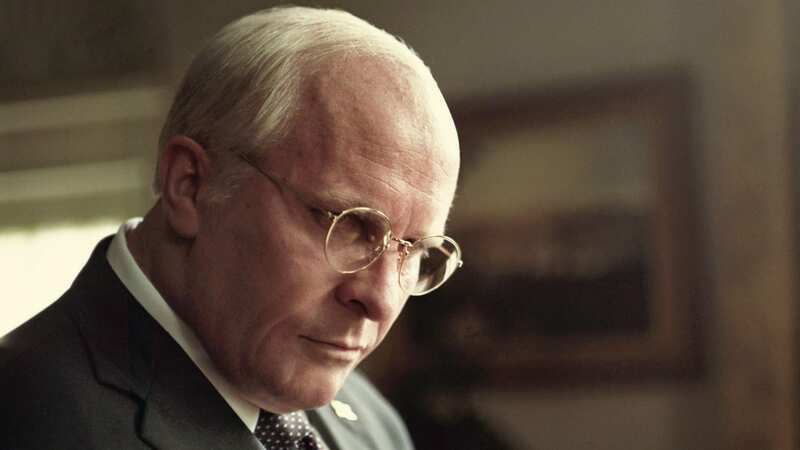 The Globe and Critics Choice winner should continue his winning streak through the Oscars; he’s this year’s Gary Oldman, only this time he gained 45 pounds on top of elaborate prosthetic makeup. Rami Malek, who transformed himself into Queen star Freddie Mercury, could steal a win from SAG actors, who are more mainstream than the Academy. It’s a close race between Critics Choice winners Glenn Close and Lady Gaga — with Globe comedy winner Olivia Colman coming on strong from the outside. 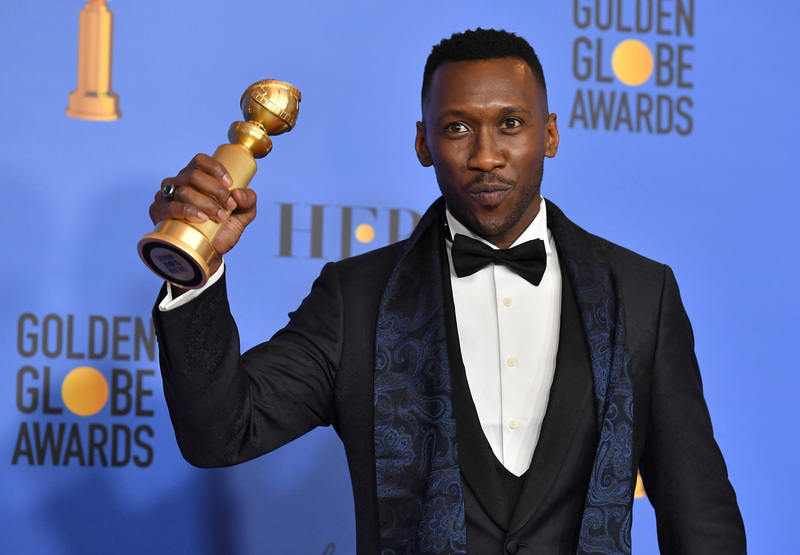 Whatever is wrong with PGA-winner “Green Book,” it’s not Mahershala Ali, who is widely admired for always taking the high road. Grant is a popular choice, too, but it’s Ali’s to lose. 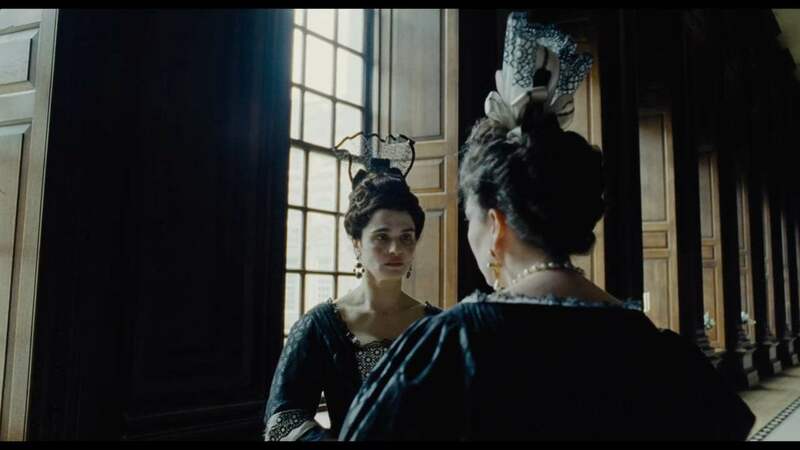 With “If Beale Street Could Talk” Critics Choice winner Regina King not in the running and the two “The Favourite” actresses knocking each other out, Adams should win this by a mile. 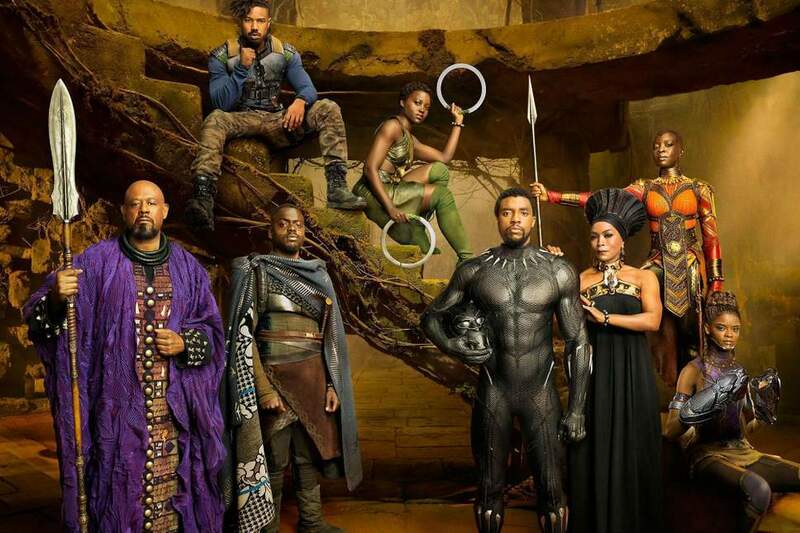 This is a good place for popular Marvel movie “Black Panther” to notch a win, but “Mission: Impossible — Fallout” is a stunning stunt movie. “A Star is Born” should get this, but the race is wide open. “Black Panther” and “BlacKkKlansman” could knock each other out. 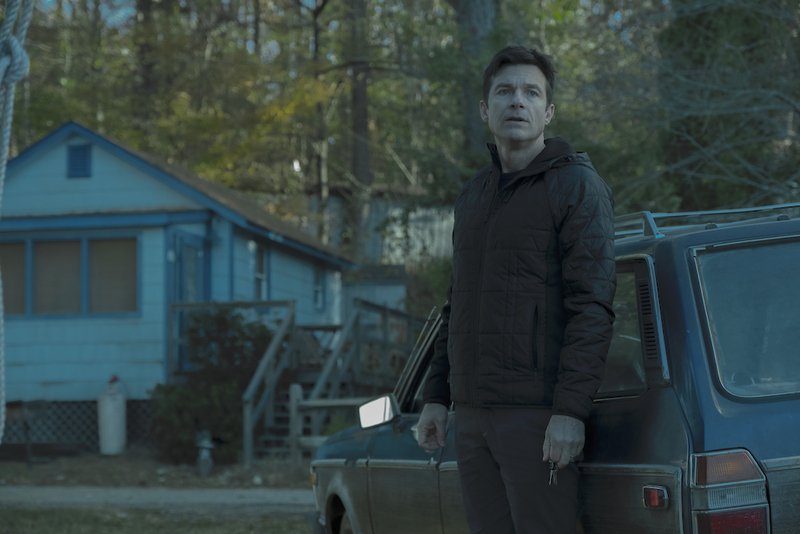 With “Ozark” looking to assert itself as a dominant Emmy player, the Netflix drama could get a big boost from the SAG Awards. After all, voters liked it to the tune of four nominations, doubling its total from last year. Bateman is the face of the series, too, and the actor/director/producer could benefit if the acting community responded better to Season 2 than critics did. That being said, it’s a fairly open race. Sterling K. Brown is still incredibly well-liked and delivering more solid work, more recently, than any of his competition. He’s the defending champion in this category, but Bateman has never won (for “Ozark” or “Arrested Development”). Odenkirk took home a SAG Award for his ensemble work in “Breaking Bad,” but perhaps this is the year someone finally recognizes his individual work in “Better Call Saul” — despite being regularly nominated, he’s yet to win the SAG Award, Golden Globe, or Emmy for his lead role. As Oh looks to build momentum following her Golden Globes win, it’s her SAG Award to lose. But it’s far from a lock. Elisabeth Moss was defeated by Claire Foy last year, so she’s yet to be rewarded by the SAGs for her astonishing turn in “The Handmaid’s Tale.” Of course, since she didn’t win when she had momentum, that could mean another Netflix upset is looming: No, Robin Wright won’t overcome the “House of Cards” bias, but Laura Linney might be able to snag the trophy if she doesn’t split too many votes with her co-star, Julia Garner. Linney had a bigger role in Season 2, so she gets the edge over Garner — if not quite Oh, a former winner. 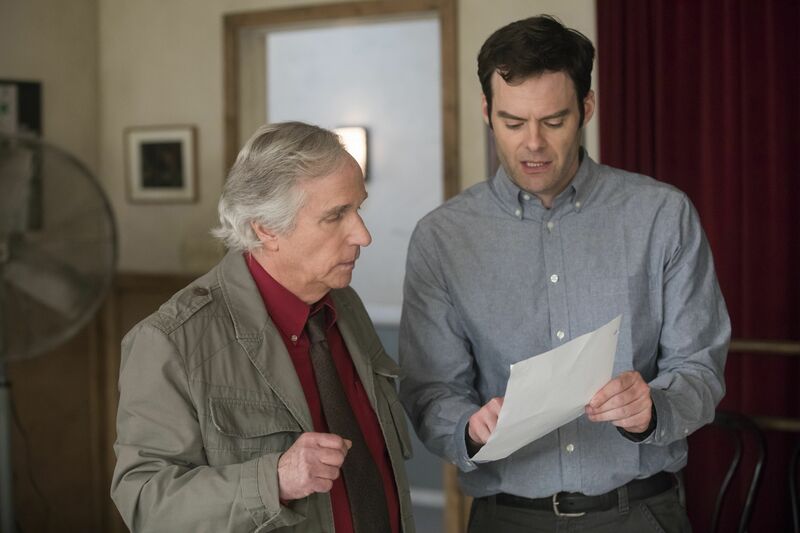 With all the nominees coming from shows with ensemble nominations as well, it’s difficult to gauge momentum between “The Kominsky Method” and “Barry.” Sure, Michael Douglas just took home the Golden Globe, but Bill Hader and Henry Winkler won at the Emmys. Douglas won five years ago for “Behind the Candelabra,” while these are Hader and Winkler’s first solo nominations. 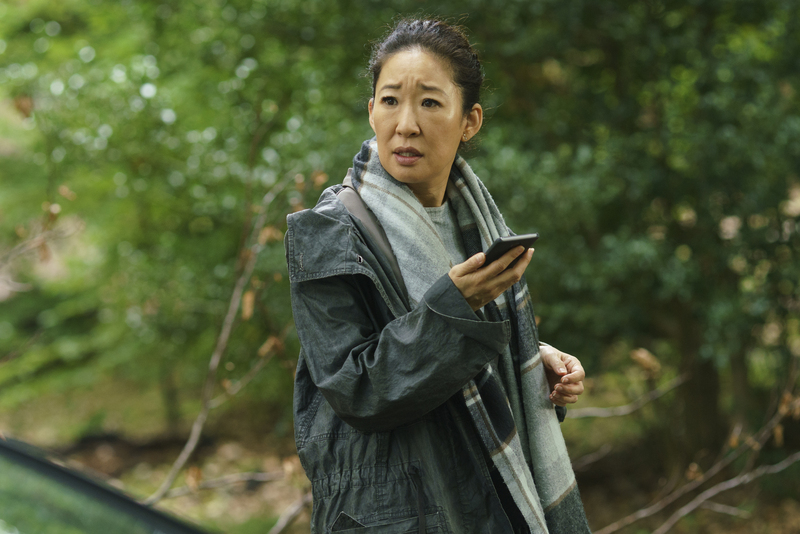 Both shows are similar in that they deal with actors talking about acting, learning to act, and teaching acting in Hollywood, so it’s a matter of who stuck out the most among the thespian-friendly turns. It’s a toss-up, but Hader gets the edge for quite simply giving the better performance. Similar to Elisabeth Moss in the drama race, Rachel Brosnahan didn’t win the SAG Award last year — heck, she wasn’t even nominated. 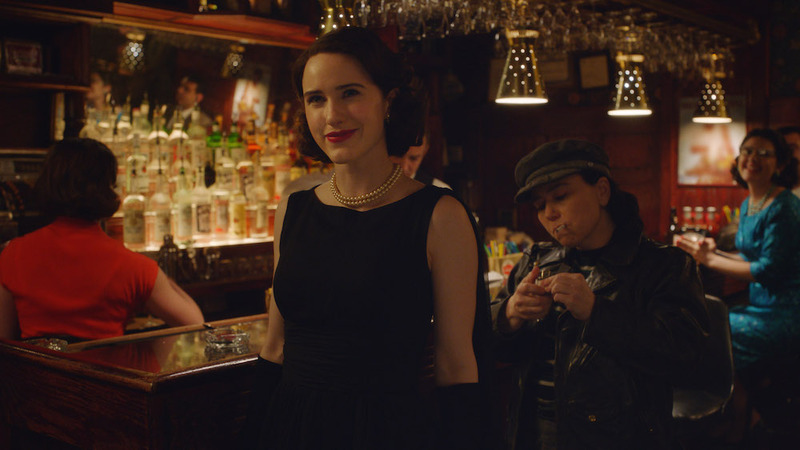 Perhaps it took the large SAG-AFTRA membership body a little time to catch up on “The Marvelous Mrs. Maisel,” but now that they have, it’s got two contenders: Brosnahan, who’s racked up trophies at the Golden Globes (twice), the Emmys, and more, and Alex Borstein, who won the Emmy last September. With four nods under its belt, “Maisel” is now undoubtedly a strong SAG contender, so give the edge to the lead actor here (and cross your fingers Alison Brie stops being ignored). Awareness and accessibility are huge factors in winning a SAG Award, and a few of these nominees have an edge in both. Though “King Lear” and “A Very English Scandal” are available via Amazon Prime, neither has made huge waves in the zeitgeist — even with favorable reviews for both and awards attention for the latter. Still, Hugh Grant worked the campaign trail pretty hard, and his Oscar snub for “Paddington 2” demands justice. “The Sinner” didn’t make as many waves in Season 2 as its freshman run, and the same can be said for “Genius: Picasso.” That leaves “American Crime Story,” which earned three nominations (and a win for Sarah Paulson) in its first season before snagging just two nominations this year. Still, the follow-up entry in Ryan Murphy’s anthology series has done better than expected at awards shows, and its availability on Netflix means even more people have caught up with it by now. Criss should expect to add another trophy to his suddenly crowded mantle. In the past few weeks, a surprising showdown has emerged in the Lead Actress category for Limited Series. Many expected Amy Adams to walk away with a Golden Globe for “Sharp Objects,” but Patricia Arquette pulled the upset. Then the two tied at the Critics Choice Awards, and now it’s up to the SAGs to have the last word on which actor stands as the Emmy frontrunner. So who’s got the edge? Similar to the Oscars, Adams has six solo SAG nominations and zero wins. (She won as part of the “American Hustle” ensemble, though she wasn’t nominated herself.) That means she’s due, but perhaps more importantly, it means the SAG voters do like her and respond to her work. That she’s a dual nominee this year could work in her favor — she’s gotta win once, right? — or it could mean she only wins for one category. Meanwhile, this is Arquette’s fifth solo nomination, but she already won for “Boyhood.” Does that mean she can’t win again? 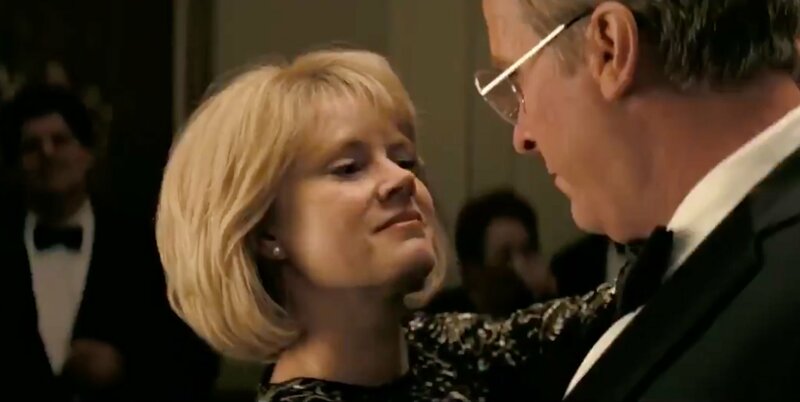 Of course not, especially if the SAGs give Adams her due over on the film side. 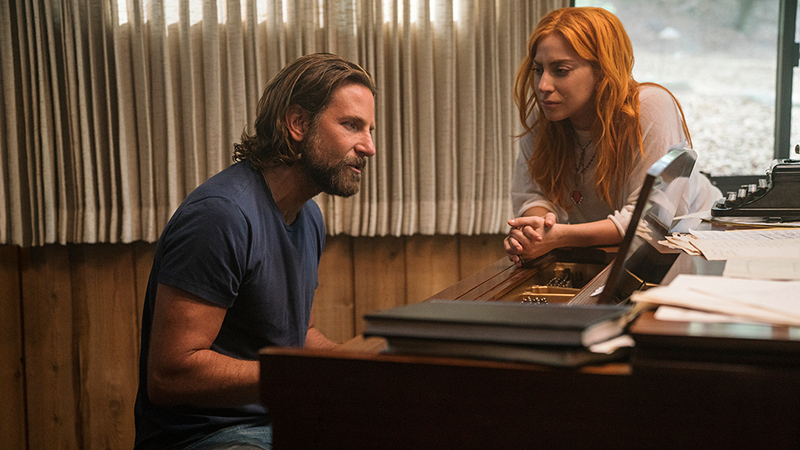 And yet, after all that, there are still two big wild cards in the race: Patricia Arquette killed it in “Sharp Objects” and actually won the Golden Globe, while Emma Stone is another dual nominee who could steal a trophy for Netflix’s “Maniac.” They might be long shots, but there’s still a path to victory for them both. Following years of exclusion from just about every industry awards race there is, “The Americans” has finally been clicking with voters for its final season. It won the 2019 Golden Globe for Best Drama Series, snagged two Emmys for Lead Actor Matthew Rhys and writers Joe Weisberg and Joel Fields, and won best drama again — for its first nomination, again — at the Producer’s Guild Awards. Can the “Americans” train keep rolling? Considering none of its individual performers were nominated at the SAGs, “The Americans” doesn’t seem to have the steam of other contenders. 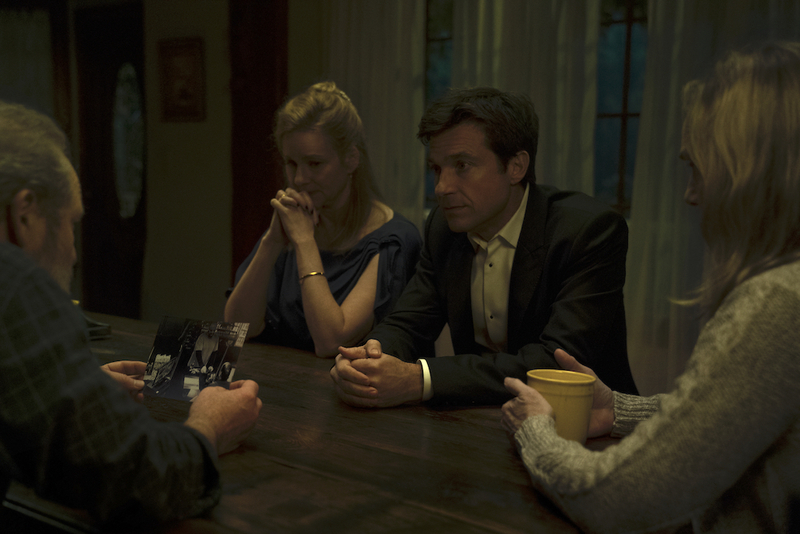 Look for the more widely seen entries like “Ozark” or “This Is Us” (the defending champion) to step in and snag it. 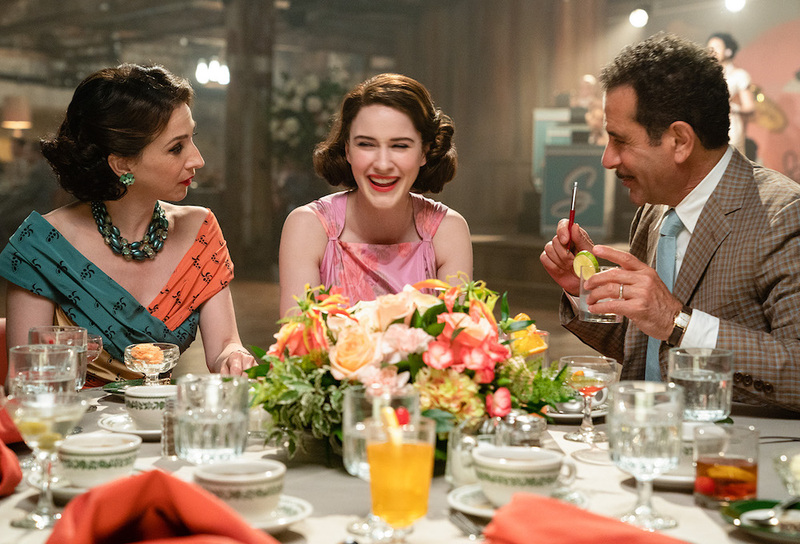 It’s hard to imagine a world where “The Marvelous Mrs. Maisel” doesn’t walk away with this one. Folks have really come around to the Amazon hourlong comedy, so despite not being in the field last year, Season 2 should perform well. Perhaps if older voters really chime in for “The Kominsky Method” or the actors flock to the deep, actor-friendly fields of “Barry,” there could be a surprise. But it doesn’t seem that likely. Considering the show operates as a showcase for stunts, while highlighting the difficulty of said stunts, “GLOW” seems like a safe bet here. Many of the actors spend a good chunk of interview time talking about the intense physical demands of recreating the “Gorgeous Ladies of Wrestling,” but perhaps the SAG voting body will stick with more traditional action fare over the half-hour Netflix comedy. “Game of Thrones” has won seven years in a row, and while it’s not eligible this year, that kind of adoration for fantasy fight scenes indicates “Westworld,” “Daredevil,” or “Jack Ryan” could benefit — given “Jack Ryan” is the only one with nominations elsewhere, let’s give it the spoiler’s edge. The 25th Screen Actors Guild Awards air Sunday, January 27 at 8 p.m. ET on TNT and TBS. Megan Mullally is hosting this year’s ceremony.